We're Excited to Reveal the Latest Twisted Lit Title! Coming this November, PUCK: A Modern-Day Spin on Shakespeare's A Midsummer Night's Dream! Life isn’t always fair, and no one knows that better than fifteen-year-old Puck. When she’s unceremoniously booted from yet another foster home, this city kid lands at DreamRoads, a rehabilitation wilderness camp. Her fellow juvenile delinquents include a famous pop star with a diva attitude, a geeky, “fish out water” math whiz, and a surly gang-banger with a chip on his shoulder. The program’s steely director aims to break Puck, but she knows that every adult has a breaking point, too. Determined to defy this realm of agonizing nature hikes and soul-sucking psychobabble — even if that means manipulating four lovestruck camp counselors and the director’s dim-witted second-in-command — Puck ultimately gets much more than she bargains for in this “wondrous strange” outdoor odyssey inspired by The Bard’s most beguiling comedy. 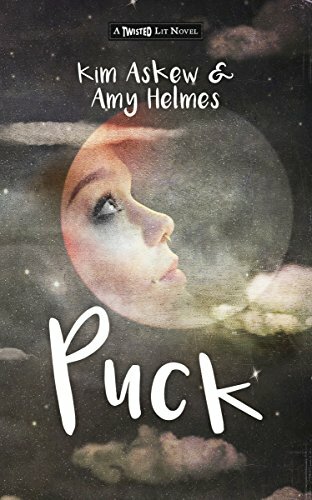 Book Bloggers: To request a review copy of Puck, send us an email.